Tracy Hecker struggled with her weight her entire life. "I hated looking at myself from the neck down. My being overweight put a big strain on my marriage," says Tracy. "I felt that since I didn’t like what I saw in the mirror neither would my husband. I was always self-conscious about what I wore and what you could see (my legs, my arms, my back fat rolls). My hair has been my security blanket for years as it was a shield to help cover up the parts that I didn’t want people to see." About three years ago, Tracy watched her brother transform his life when he had weight-loss surgery performed by Dr. Soohn. Her brother suffered from high blood pressure and was borderline diabetic. "To see my brother transform the way he did only gave me courage and hope that if he could do it, so could I. I knew that if I didn't change something, I'd be right where he was in the near future. Why wait until I had those complications to change?" On September 2, 2015 Tracy's entire life changed. Weighing 226 pounds the day of her surgery, she was considered morbidly obese. 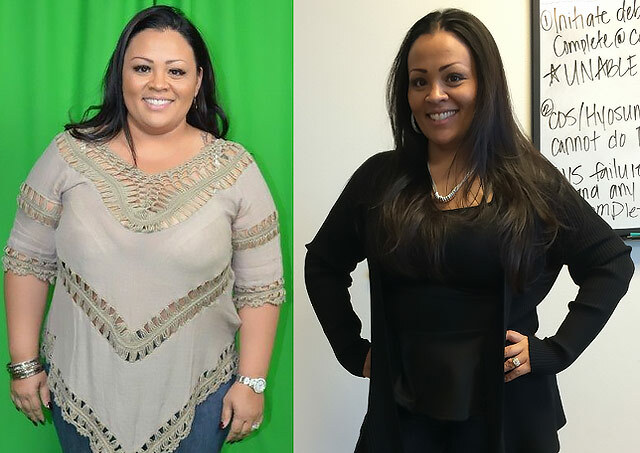 "I am proud to say that today, I weigh 174 pounds and went from a size 18 to size 10 in 3 months. I found my confidence, I found my joy and most importantly, I found my life again. "This journey has been amazing. Almost every Sunday, our family goes to the park and I actively participate with them rather than just sitting on the side. I can play basketball, football, dodge ball, kickball and the list goes on. I have energy and I now want to do things."